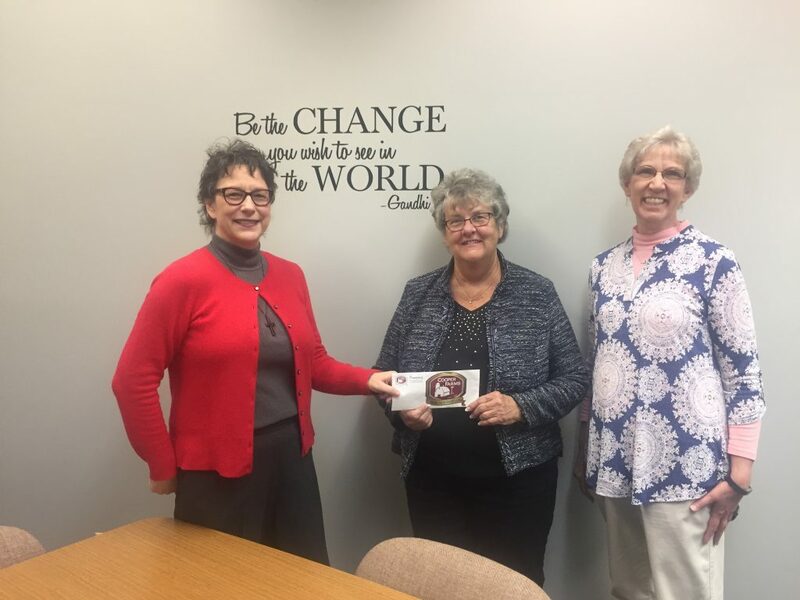 Dianne Cooper stopped by Our Home Family Resource Center recently to present the organization with a grant from the Cooper Family Foundation and to take a guided tour of the facility. The Cooper Family Foundation provides funding for a wide variety of projects throughout the region with a true dedication to bettering the communities where they operate. The Direct Services program exists to provide folks with resources needed to overcome emergency situations, unexpected expenses, or unusually tight budgets. To accomplish this, the program staff offer advice, referral information and, in many cases, financial assistance to those in need. Financial assistance is available for evictions, utility shut-offs, home repairs, emergency shelter, prescriptions, doctor visits, and medical services. Food, personal care items, and baby supplies are also available for folks on a limited income. Over the past year, Direct Services staff helped Mercer county residents in over 1500 situations. In addition to that, program staff coordinated and administrated a “Back-To-School Supply Drive” that provided essential school supplies to over 300 children across the county, “Winter Warmth Day” that provided winter coats and accessories to over 600 Mercer County residents, and the “Mercer County Angel Tree Project” that allowed 365 Mercer County families provide Christmas gifts for their children. These figures not only represent an individual or family who would have suffered without assistance from the Direct Services program but they also demonstrate the meaningful impact that this Cooper Family Foundation Grant will have on Mercer County residents in need.